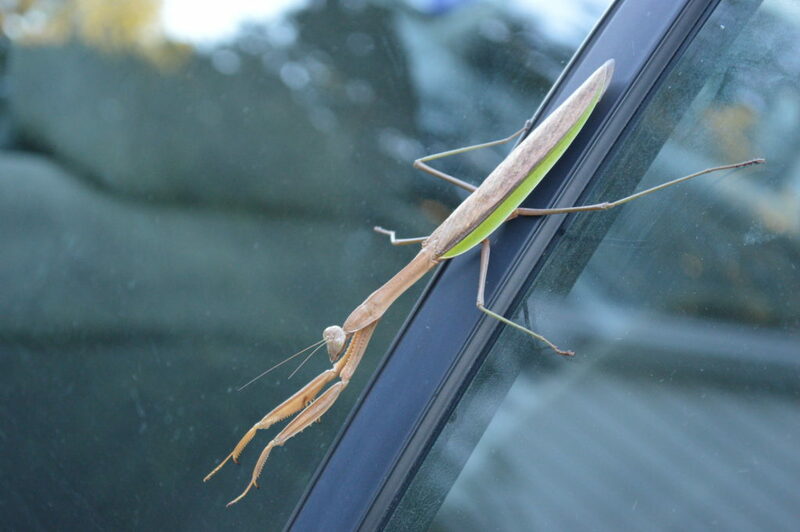 Fall is an excellent time to view interesting insects and one of the most fascinating is the praying mantis. 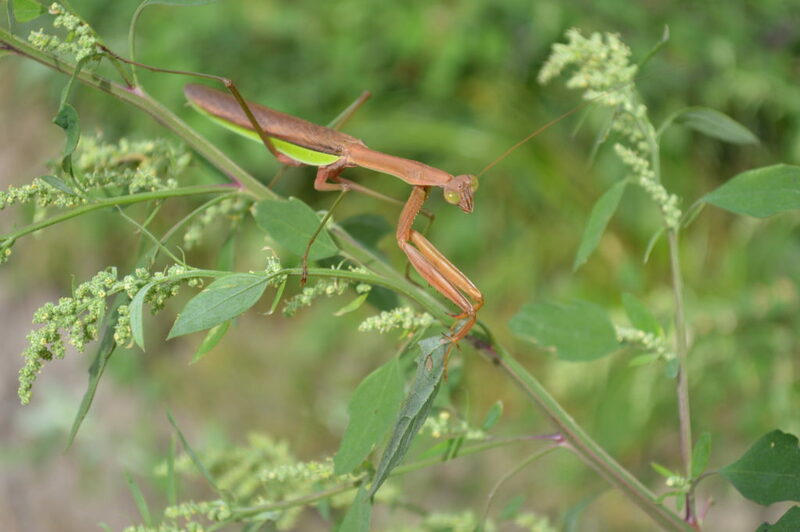 With its bulging eyes, elongated body and front legs that sometimes appear to be crossed in prayer, praying mantises may unnerve some people, but actually are beneficial. Their prey includes flies, grasshoppers, crickets and other live insects. Of course, one of the fascinating facts about praying mantises includes a habit of females to eat their mates. In Iowa, females lay eggs in the fall and the egg cases overwinter, with tiny offspring hatching in the spring. Learn more about another beneficial insect: What do lightning bugs eat?